"Today the Maine Legislature reconvenes to address some of the record number of vetoes issued by Governor Paul LePage. The question today isn't where LePage stands. He has already chosen extreme ideology over common sense on a number of critical issues for Maine people. The question is whether Republican legislators will stand with him." Today the Maine People's Alliance released their scorecard for the first session of the 126th Maine Legislature. The corrosive influence of wealthy interests in elections and government is an issue that underpins all of MPA’s campaigns. Maine voters passed the Maine Clean Elections Act through referendum in 1996. The program worked well during its first decade, with as many as 85% of elected members of the Maine House and Senate running and winning their seats as clean elections candidates in some years. Faced with the combination of a $900 million shortfall, a far-right governor, and a newly elected Democratically-controlled Legislature, Maine remarkably avoided both a state shut down and harmful cuts to the elderly, disabled, and poor in the budget. As the 2014 campaign for Maine governor approaches, one question looms large in the minds of many members of the Maine People’s Alliance: How can we stop Governor Paul LePage? With the earliest gubernatorial endorsement in the organization’s history, the Maine People’s Alliance Campaign Vote! 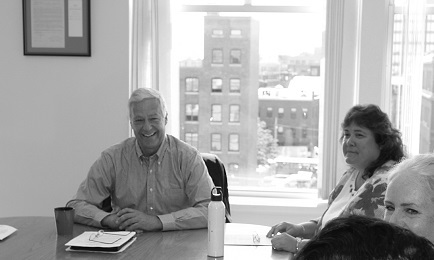 board has decided to back Congressman Mike Michaud in the 2014 gubernatorial election. Right now there is a common-sense bill, LD 1181, moving through the legislature that would require major food manufacturers to report their use of toxic BPA in products such as canned food. It’s time for the legislature to act and protect the health of our children. Use the contact tool below to let your legislators know that Maine’s children come first. The bill being announced today to be introduced by Representative Gary Knight has a number of flaws and weaknesses, but it represents a welcome recognition from Republican members of the Legislature, including prominent members of the Tea Party caucus, that there are no more cuts to be made in the state budget and that increasing revenue must be part of any workable solution.